Thoughtfully designed for a variety of applications, including hot water control, offering simple set-up and a range of features to fit your customers’ lifestyle. Touch-screen interface offers easy and optimal heating adjustment. Suitable for a wide range of applications including heating and hot water control. The new two channel wireless receiver allows for two heating zone applications. Access via a mobile device lets customers have complete control, anytime, anywhere. Smart automated bolier control delivers better performance and superor energy effeciency. Pre-configured scheduling gives customers a choice of settings to suit their need. Location-based programming (geo-fencing) is an additional automated layer of control, adjusting the customer's home heating based on their location. Copyright © 2019 Resideo Technologies, Inc. 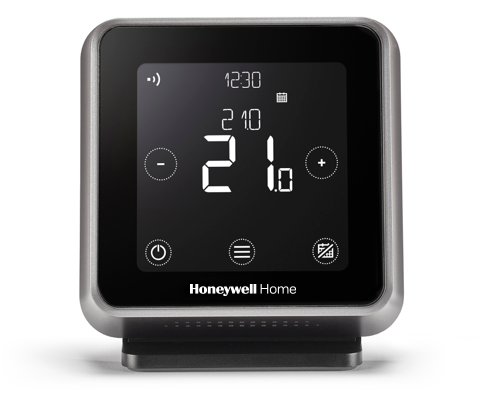 The Honeywell Home trademark is used under license from Honeywell International Inc. All rights reserved.